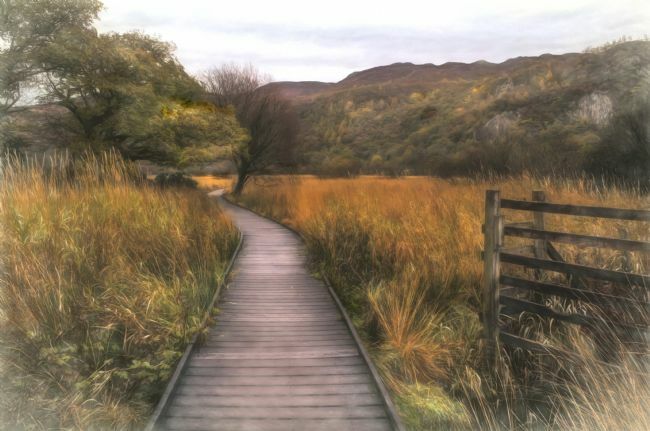 A photo painting of the well trodden duck boards that lead you around the southern end Lake Derwent in Cumbria, England. 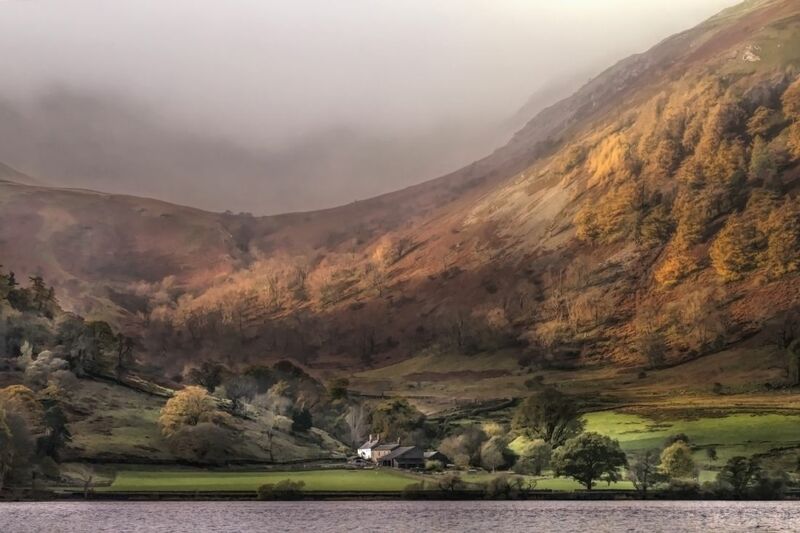 Taken in an area called Sandwick Bay at the base of Hallin Fell near Howtown on the shores of Ullswater, Cumbria. One of the many beautiful views from an Ullswater boat. Looking towards Glencoyne. 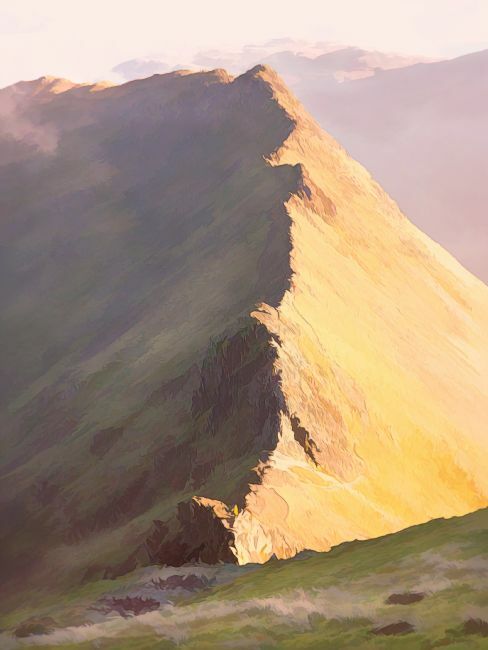 Painterly effect. 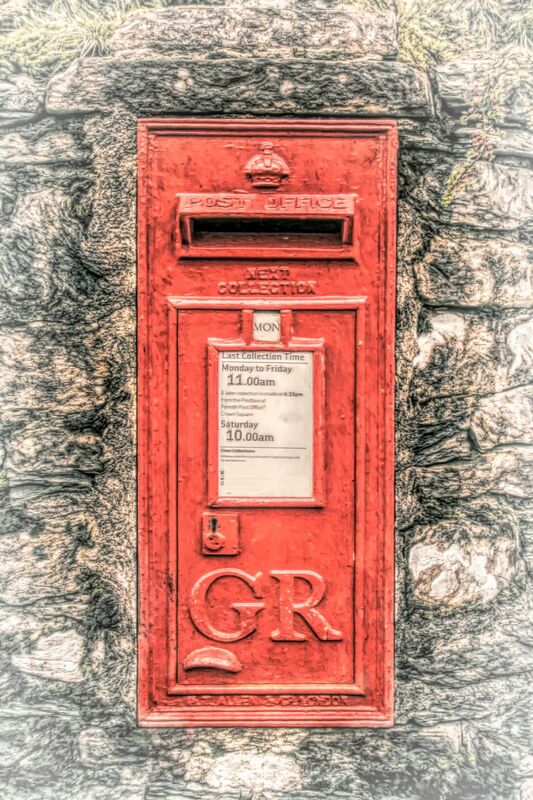 An old vintage post box Circa 1936. The GR denotes George Rex the King sitting on the throne at the time. This post box sits in the wall at Haweswater, in Cumbria. UK. Painterly effect given and all numbers removed for data protection purposes. A painterly version of one of my photographs of Striding Edge on Helvellyn in the Lake District of Cumbria. Mardale Beck looking towards Harter Fell on the left and Nan Bield Pass. Mardale Beck can be followed upto Small Water and Bleawater tarns. 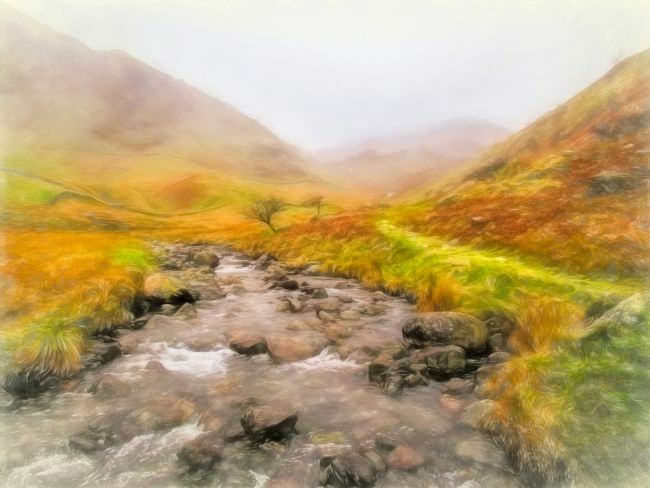 The beck flows into Haweswater Reservoir on the Far Eastern Fells of the Lake District. 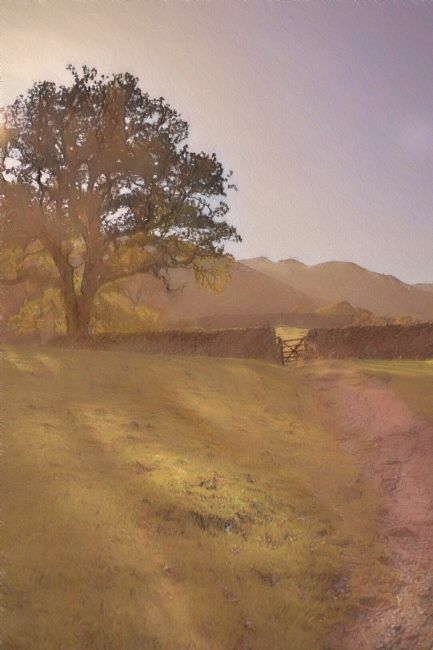 I have given this oringinal photograph a painterly look for effect.